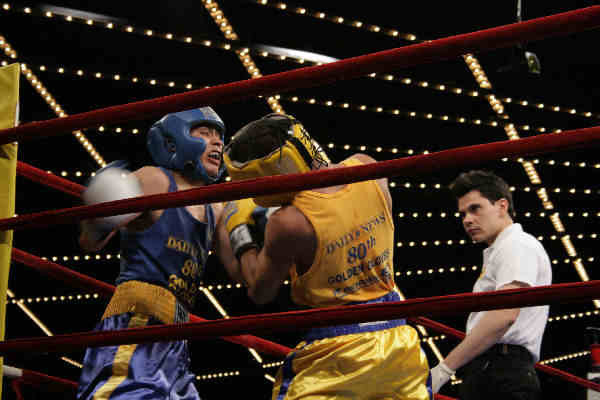 The Theatre at Madison Square Garden held the first night of finals for New York's 80th Annual Daily News Golden Gloves Finals this past Thursday. The nearly sold-out Theatre held seventeen bouts in the open, novice and women’s divisions. 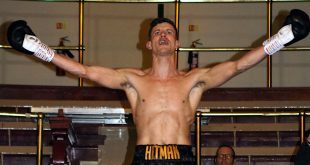 John Duddy, Emile Griffith, Zab Judah and Maureen Shea were just some of the professional fighters in attendance to watch the amateur finalists. 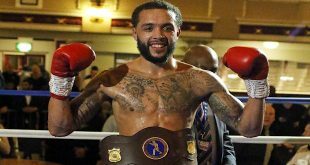 Brooklyn resident Schavez Peters of Gleason’s Gym used quick footwork against Luis Ramirez of Yonkers PAL in their 119-pound novice championship fight. 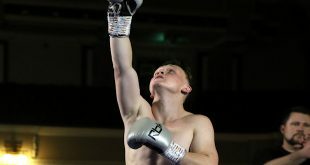 Peters was deducted a point in the third round for a low blow and the fighters ended the round with good action trading toe to toe in the last 15 seconds of the round. Peter’s footwork and more accurate punches earned him a 5-0 decision. 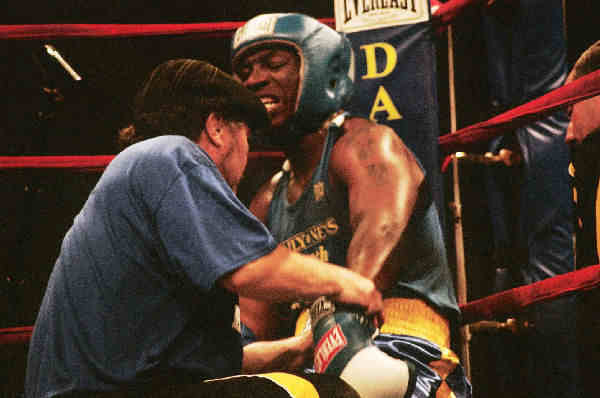 The 132-pound open championship was a highly anticipated bout between two champions from the 2006 Golden Gloves Finals. 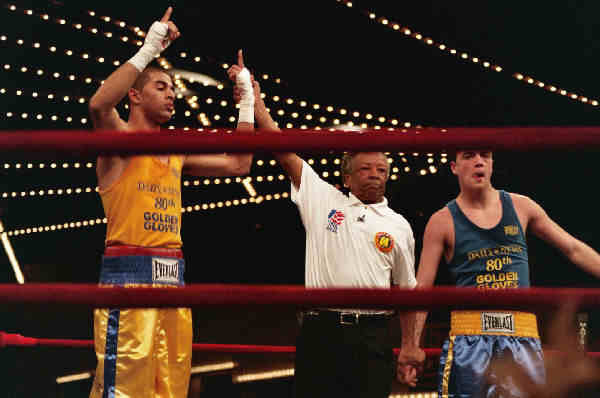 Sadam Ali of Havoc Boxing won both the Daily News and National Golden Gloves in 2006 while his opponent Bryan O’Connor of Webster PAL won the 2006 novice championship. Ali won a 5-0 decision by using superior hand speed and hard hitting combinations. The 152-pound open division put on the most exciting fight of the night. 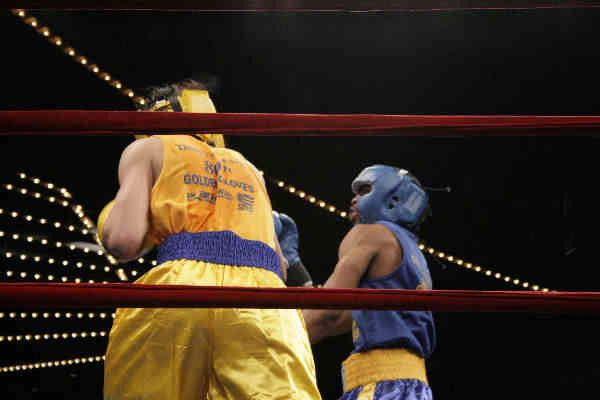 Ronney Vargas of Webster PAL and two-time Golden Glove champion faced Ashante Hendrickson of Veteran’s Memorial Gym. Hendrickson used his speed early in the first round but was met by shots to the body. 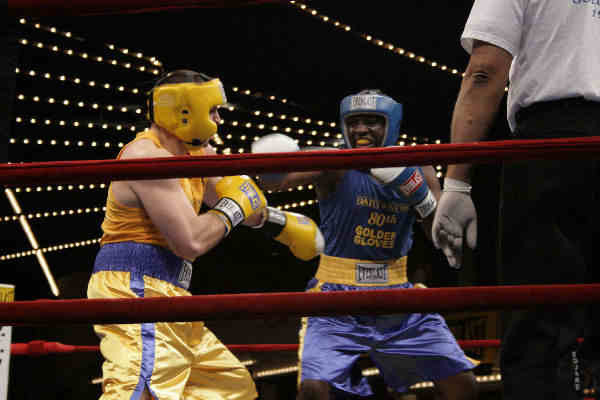 The first two rounds had a lot of action with both boxers landing several shots. 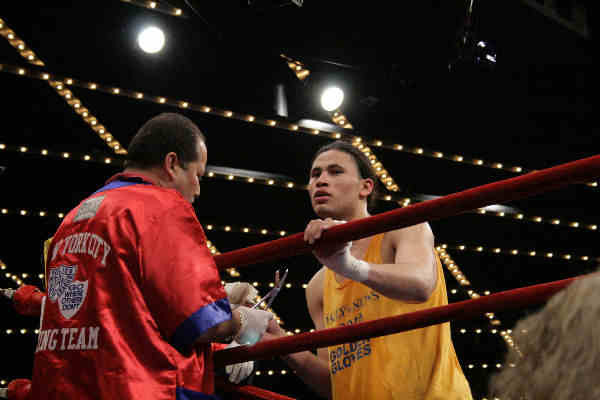 Vargas began to take over in the third round ,staggering Hendrickson, who received a standing 8 count. 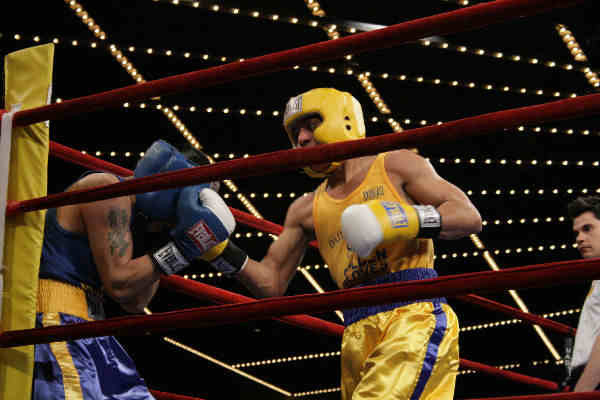 Vargas continued to land strong power shots through the fourth round and caught Hendrickson with a right uppercut at the end of the round that nearly put him through the ropes. 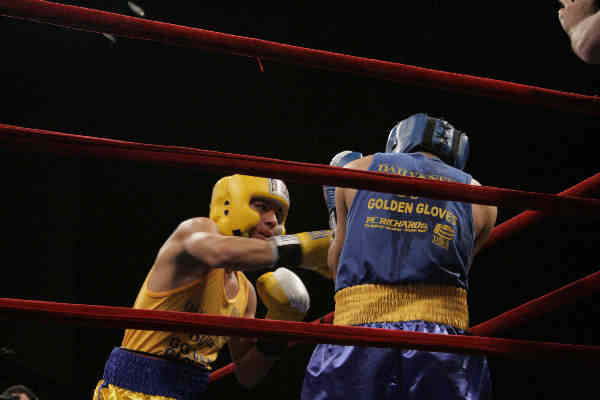 Vargas won his third Golden Gloves championship with a 5-0 decision and is looking to fight professionally later this year. 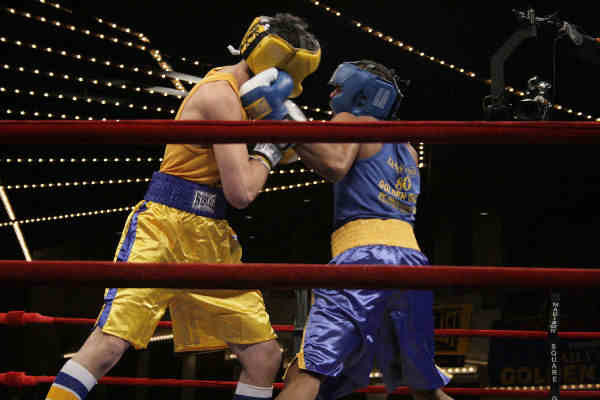 Currently ranked the number one amateur on the U.S. in his class and two-time Golden Glove champion Luis Del Valle of Newburgh BC faced a game but overmatched Alfredo Baeza in the 125-pound open championship. 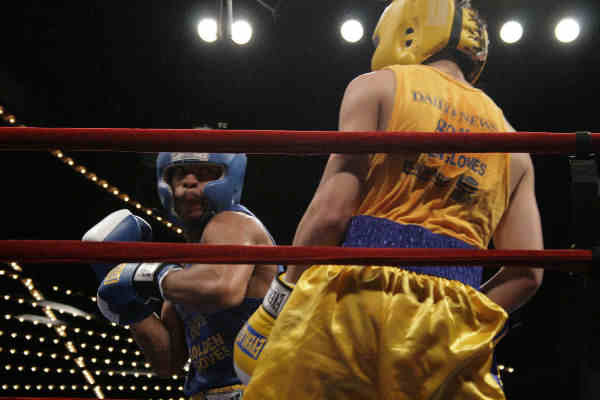 Del Valle put on a great performance knocking down Baeza in the third round and scoring a standing 8 count in the fourth round. Del Valle received a 5-0 decision and remains a favorite to compete on the U.S. Olympic team in Beijing in 2008. 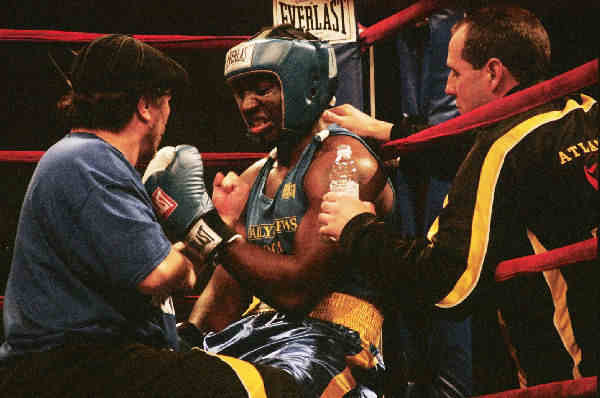 Also ranked number one in the US and defending Golden Glove champion Adam Willett of Veteran’s Memorial Gym faced 2005 Golden Gloves finalist Sal Potente of Mt. Vernon BC. 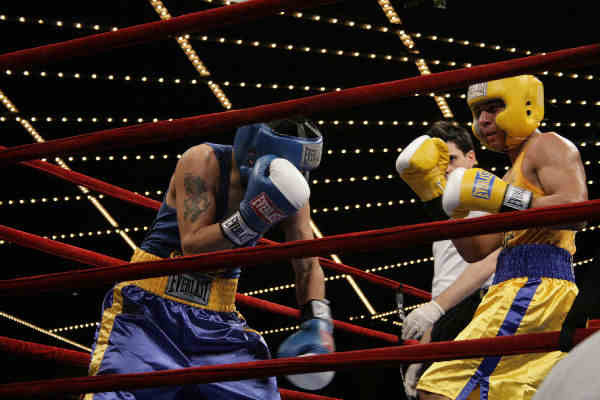 Willett came out strong in the first round in his southpaw stance with a hard jab that snapped back Potente’s head. Near the end of the first round it became clear that Willett had injured his left arm. 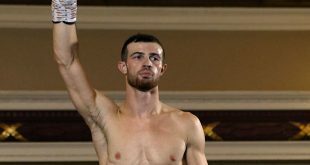 His corner tried to work his shoulder in-between rounds but Willett was not able to throw his left for the remainder of the fight. The referee would stop the fight twice for the ring doctor to confirm it was ok for him to continue. Although he fought valiantly throwing his jab and hook sparingly it was not enough to earn him the decision which he lost 1-4. 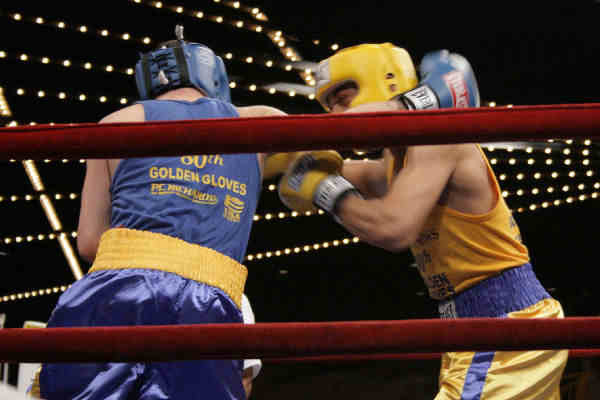 Watch for NY Daily News Golden Gloves â€“ Part III featuring the comments and photos from the Finals from April 20, 2007.